Hey everybody! 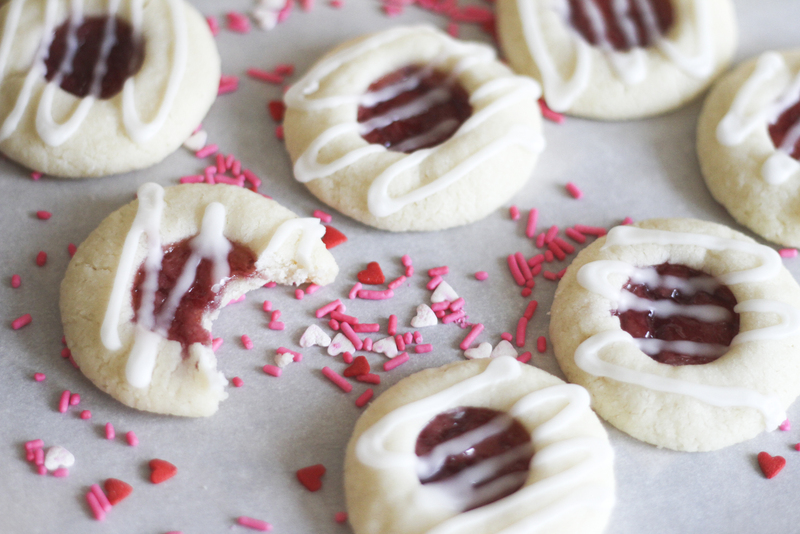 With Valentine's Day coming up, you are probably thinking about yummy treats to bake. Whether it's for friends and neighbors or just for your family, these little cookies hit the spot! They are delicate, buttery and slightly chewy! The combo of raspberry and almond is perfect! And you will have a hard time eating just one! These are a super easy alternative to our traditional frosted sugar cookies! So if you are pressed for time, make these! 1. In a large bowl, cream butter, sugar and almond extract until light and fluffy. Add flour and mix well. 2. Roll dough into 1 inch balls. Place on cookie sheet. Using the end of a wooden spoon handle, make an indentation in the center of each cookie. Fill a sandwich baggy with the jam. Snip a corner of the bag and fill each indentation with about 1/4 teaspoon of the jam. Make sure you don't overfill them. Bake at 350 for 11-13 minutes. 3. For glaze, in a small bowl, combine sugar, extract and water or milk. Drizzle over cooled cookies. Oh my goodness! These are so cute and they look so delicious! 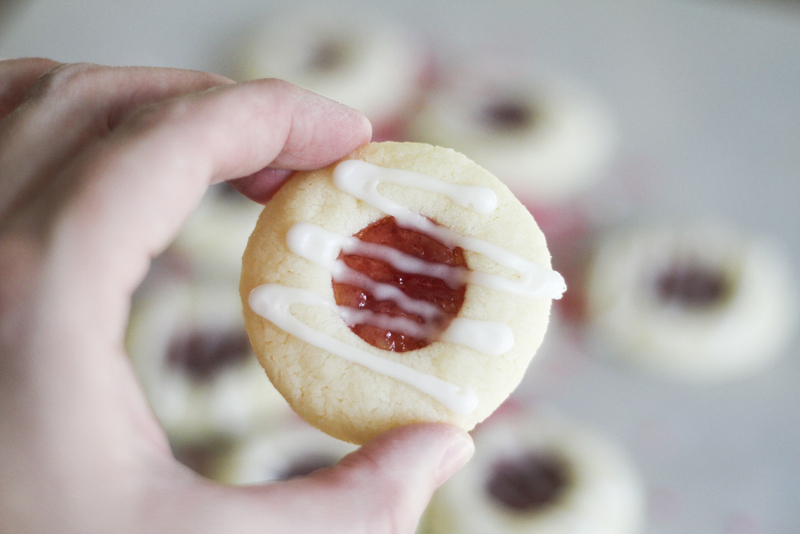 Sarah- They are so easy to make and are my favorite cookie right now! You have to try them!! Kalani- Hahaha! Too funny! You are smarter than I! These cookies and I have gazed into eachothers eyes too many times as of late! And I promise you, the cookie has always won! What a pretty little cookie . . . if they are half as good as they look, I might be in trouble! You always have the best ideas -- Love these! And love YOU!! Oooooh! These look like a good time.